I met this group about two years ago for the first time when their first LP ‘Swoon’ was about to be released; I remember them as one of the first post-punk groups with a positive attitude, humorous and almost conservative compared to the darkness and anger of post-punk, a provocative music of reaction, of subversion; Prefab Sprout were among the first groups in the Eighties to rediscover a classic sound, melodic, to write love songs, to dust down the jazz of 40s and 50, and referring back also to musicals, a certain nostalgia, a retro easy listening quality. Among the first to strum their guitars with jazzy rhythms and counterpoints, and to admit being interested in becoming widely known and appreciated but with a great awareness and sense of responsibility for quality. A group with class, never interested in the revolts of the seventies’ kids, not wanting to have anything to do with punk, but nonetheless having a political and social commitment. The important thing is to entertain, to make good music and if you can take advantage of the media, advertising and mass marketing, so much the better! So said Paddy McAloon, two years ago. In the subsequent two years they have recorded another album, Steve McQueen, have performed around Europe with much success, and in England are successful with the cognoscenti who listen to them and love them. They are enthusiastically broadcast by British radio but they have never really reached the higher reaches of the hit parade, they have not yet performed wonders. They have remained consistent, maintained and even improved their quality and were the darlings of the not insignificant Elvis Costello and Thomas Dolby, who produced the latest LP, ‘Steve McQueen’. They are becoming more refined, the voice of Wendy is more mature, delicate veils brushing the skin, pastel colors and blue, pink and violet mists, all brought forth by the black vinyl I’m now listening to while thinking about what to ask Martin McAIoon, whom I’m about to talk to. I wonder what kind of expectations they have, how they work, how important quality is for them, what kind of audience listens to them … They come from the north of England, and moved to London because, as they say, the ‘atmosphere, life and people in the North are warmer, more sincere,…’ and as I found out in recent years, the best groups are not from London but almost all ‘Northerners’, or Scottish, Irish. 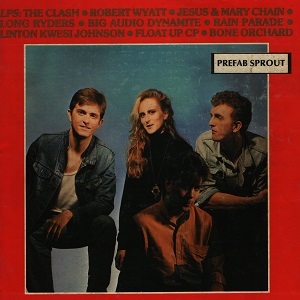 Currently Prefab Sprout are in Oxford, playing a concert, and are doing a tour of England which will be followed by gigs in Europe, possibly in Italy, next year. I have a phone number for a hotel in Oxford, via which British Telecom will put me in touch with Prefab Sprout! These romantic musicians, fled from a movie Hollywood-Forties to comfort and soften these hard Eighties where the human element is often forgotten, blurred by the nuclear threat and wanting to show our commitment to fight for great causes… Such causes become a focus, to the point where quality and individuality, originality, become secondary . 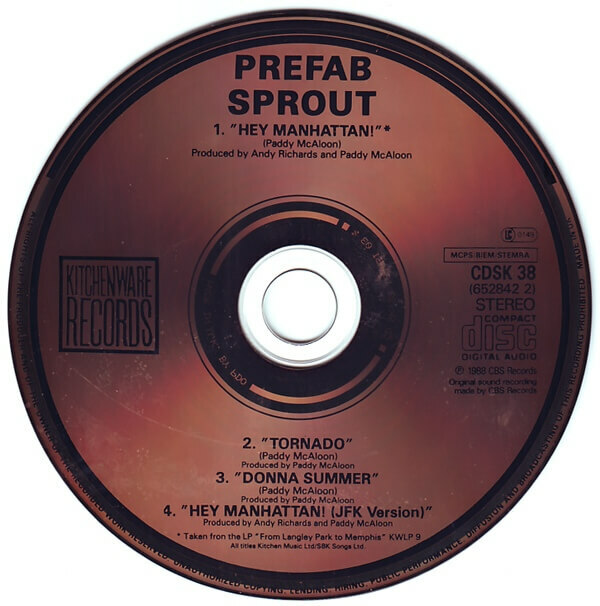 Prefab Sprout speak of themselves, of mundane problems of love, but they also like to have a laugh and comment on the bad side of their country moderately, without proposing solutions. I have to stop blathering and call Martin, I’m already late … “Do you remember me”, “Yes, very well”; this pleases me because I was terrified of having to ‘interview’ someone who has no idea what I look like through an electrical wire. He was beginning to worry that I wouldn’t call. We have limited time, so saying nothing is not an option, but this is a horrible means of communication. I wonder if I should do interviews by correspondence…! Hello Martin, how are you? The first question that I ask regards their producers. I want to know how you got in touch with people like Elvis Costello and Thomas Dolby, how do you reach such personalities? How does it work? Martin: Elvis Costello really just spoke very highly of us, on the radio and the press, but Thomas Dolby has helped us with the latest LP. We liked his work and his slightly humorous attitude and a very elastic approach to pop, he has a very lively personality. We got in touch with him and asked if he wanted to come to Newcastle to listen to the demo tapes for the album Steve McQueen. He agreed immediately, and arrived at our house for lunch. We had lunch with my mother and all my family, and then we went in the studio, he listened to the tapes and immediately wanted to get to work with us. He has a lot of intuition, and helped us to organize, refine and give form to the album. It was a great experience, to work with someone you respect and you know can help you with the work objectively. He’s full of enthusiasm, and has a great ear. He took us into a studio where he works and we worked together on the entire album. That never usually happens with a producer, because they work only in the final stages, they don’t lower themselves to work with you throughout. And how did you choose Steve McQueen for your album title? We really like Steve McQueen. It ‘a tribute to him. Then the name sounds very good, don’t you think? Steve McQueen is an actor who can really gives the impression he isn’t acting in his films. He’s very natural, it seems to be easy for him, he does it with great spontaneity and demystifies the process. And this attitude is very important in an unreal world where the spectacle creates myths. To keep in touch with reality, not to be blinded by the myth, by the aura of show business. And this is an attitude you share? Really there are two contrasting aspects. We come from the North where the mentality is very conservative, from very poor industrial areas. Setting out in a job like this, when you want to escape the bad habits of ‘normal’ things is quite eccentric. Immediately people in the village where you live think it’s a bit of a luxury to take on a job like a musician which they see as extravagance. The world of entertainment, removed from reality, difficult for them to reach and realize themselves. 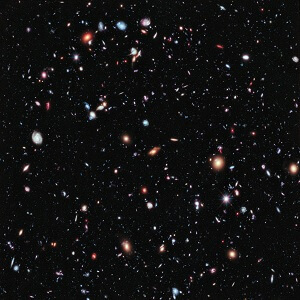 And you feel different from people who were previously classmates, and today are miners, or employees or housewives. And really this work is for us also ‘easy’ because it’s all fun, creating songs, playing, singing and its heaven in comparison to the ‘normal’ 9 to 5 work. But on the other hand you have the English music press (NME, SOUNDS), which speaks of the pop in a very intellectual, and pretentious way. They make it a social, philosophical, psychological thing, and destroy it with pompous language, and to them I would say that sometimes you should not be so serious, so far from the reality of everyday life. What has the press demanded of you? They’ve praised and panned us so many times, it’s difficult to understand what they want, or think of us. However one of the things you find written about us is that we don’t do protest songs about our country, of the masses and their problems. It’s ridiculous because even in Swoon there are lyrics speaking about the situation of the country, commenting on certain types of life, the mentality typical of the North, and so on. But perhaps it’s not so clear that we talk about these things through personalising it around individuals, using stereotypes instead of turning it into a ‘political cause’. 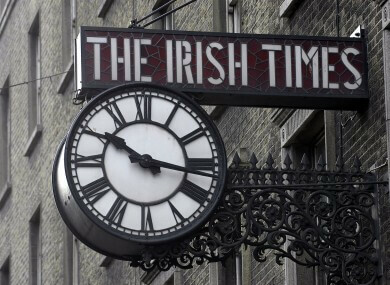 However it’s fine for us, we’re not bothered by the press, we don’t have a high regard for British journalists, most of them are just failed writers or musicians. 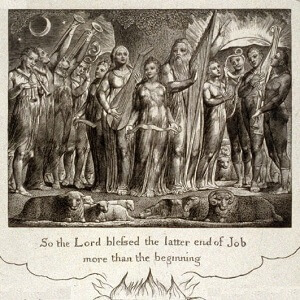 And now we’ve just recorded an album called “Protest Songs’, and the songs are not political but are songs that speak of England, the situation of our country. We didn’t want to preach, but only talk about what we know. Talk about people and events we know, and the title is an answer to those who say of us that we don’t care. To prove that protest songs can be songs about personal matters, you don’t need to be a demagogue to point out what is and isn’t right. It took 12 days to record it and the music is quite different from the first two LPs, is much more oriented towards the rock’n’roll, rougher. It’s also not produced by anyone but ourselves, because we wanted to prove that it isn’t the producer who makes the quality or sells the records. And what kind of comments do you make about your country? What are you saying? Is there big news? Changes? How do you work together? Who writes the lyrics, the music and how it’s done? We continue to live and work in our city, Newcastle, because we do not want to be affected by the pace of life in London, the working atmosphere in Newcastle is much more relaxed and free for us. There’s a constant bombardment of styles, extravagance, fashion that you can’t ignore if you live in the metropolis and that definitely affects the work you produce. We prefer to keep ourselves out of that, and our label allows us everything we want, gives us a lot of freedom, no pressure to produce. Paddy writes all the songs, lyrics and background music. He arrives at the studio and sings a song and then proposes a melody, sometimes on cassette, and sings on this to give us an idea. Neil Conti, the drummer who joined us after Swoon and has been working with us since then, is very intuitive, he’s able to have a complete view of the possibilities of how things can be developed, and suggest instrumentation, and he creates a very structured rhythm part allowing us to hook ourselves in, and from that a song is born. Wendy sometimes adds voice parts, or with the saxophone. Sometimes we have to have lunch or dinner together before going into the studio. We work a lot better with a full stomach! And then it’s like a kind of meeting that precedes the work, we discuss ideas and new stuff at the table, sometimes with the whole family … (Paddy and Martin are brothers). Paddy needs to be alone and works very intimately when he writes the words, or at least creates a song. I believe that at the moment he’s the best songwriter that’s out there! Do you write many love songs? Yes, without a doubt we are ‘romantic’! It seems to me that our genre (although I don’t like that word) functions very well with songs that speak of love, the voices of Paddy and Wendy are very dreamy, full of emotion, passion, and that’s how we feel when take up our tools, overflowing with passion! But we are not dismal, we laugh at the music press taking pop too seriously. Our ‘rules’ are to make everything enjoyable and entertaining and give the best of ourselves, and all the rest follows from that. What other groups do you like? We love the Smiths, I find their work it very original and powerful, I loved the pieces “Relax” and “Two Tribes” by Frankie Goes to Hollywood, but I don’t like the rest of that album, it’s very anonymous, less inventive. The danger of having a sudden success with a 45 is that the record company uses its skills to sell a 45 and focus all its attention on one or two pieces. The totality isn’t considered because they’re blinded by a single piece of work. I also like the new Grace Jones song, Slave to the Rhythm, the video is very good. Why have you brought out “When Love Breaks Down” three times on 45? Was it a move for business purposes? It’s a song we like very much, it seems to us one of our best, and we wanted to exploit it and produce it in the best way possible. Now we’re doing a major tour in Britain it seemed a good idea to release a 45 that people already knew, and also to precede the release of the LP Protest Songs, which will be quite different. We wanted to use “When Love Breaks Down” as a vehicle, and we love playing it. And how do you approach live performances? It’s very important to ensure optimal sound quality. We like to play well, also we like to have a technically clean sound, a nice sound, because often you listen to a record and get excited about a band, then when you see them live you find they can’t play or the quality of the LP is not reproduced in concert. And that’s very bad, embarrassing for a group. Wendy is very shy and often her voice trembles when we play live. But overall I think we give a satisfactory result because we really want to give the best of ourselves. Paddy communicates with the public, we feel close to people when we play. We try to satisfy the public even when presenting the songs that need backing tracks. Obviously the reaction from the public really influences the course of a concert, because the energy that forms, which is generated, comes from the immediate response of those who listen to you. However every time we set foot on a stage we are very optimistic , and we want to start the concert transmitting this positive energy, the first step. It’s very exciting, and the satisfaction when it goes really well is amazing, you feel so good after a good concert! Are you thinking of coming to Italy? I’d very much like to, I know that in Italy a lot of people like us, or so we’re told… And I think that the public would be extremely warm, alive, and we would like that a lot. But we’re talking about next year, perhaps in the Spring; It would be a great season to be in Italy. Yes, we want to go, for sure, we have never been in Italy, we are all very curious …. So we can look forward to that, Martin assures me, adding that he would like very much to play in Venice (my city!) For the romantic aura and mystery. 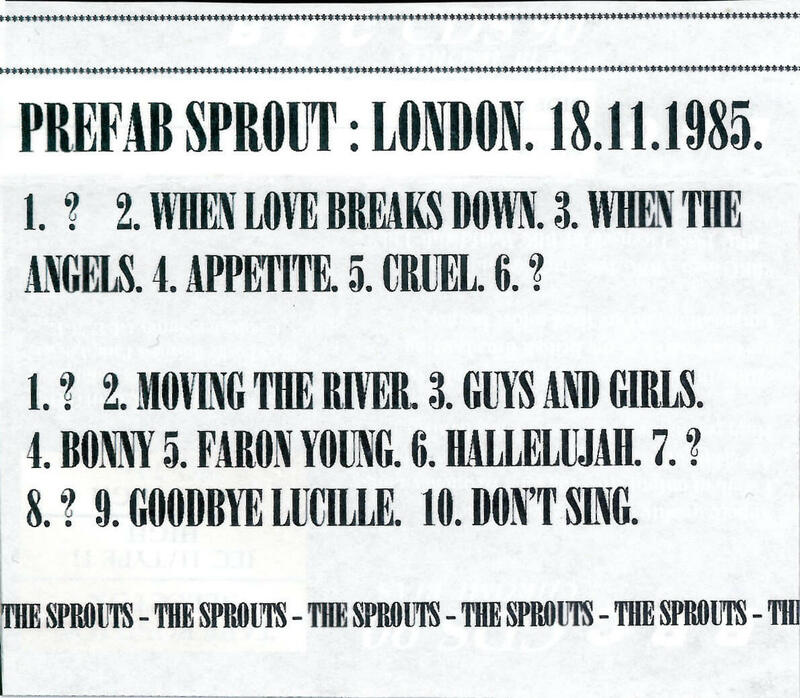 But accept Prefab Sprout warmly, with affection; they will not disappoint you and don’t forget to put a rose in your buttonhole, a perfumed handkerchief in the breast pocket, a little ‘class’… and fall in love!